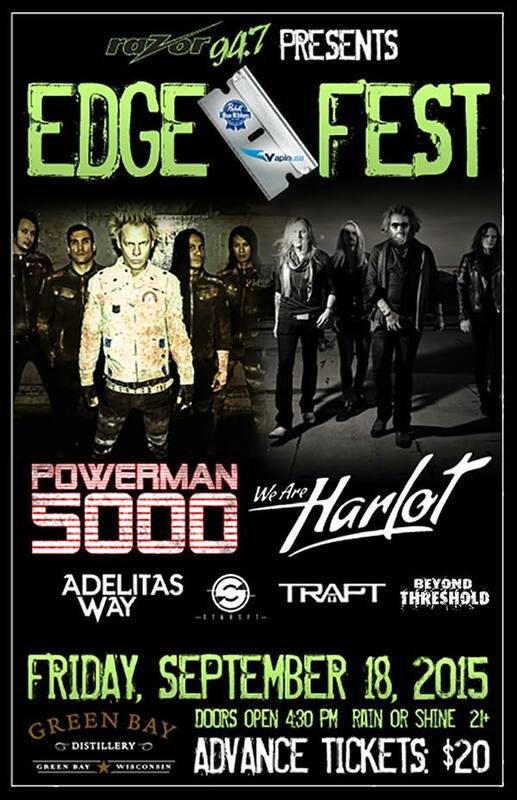 Friday September 29th in Ashwaubenon, Wisconsin!! 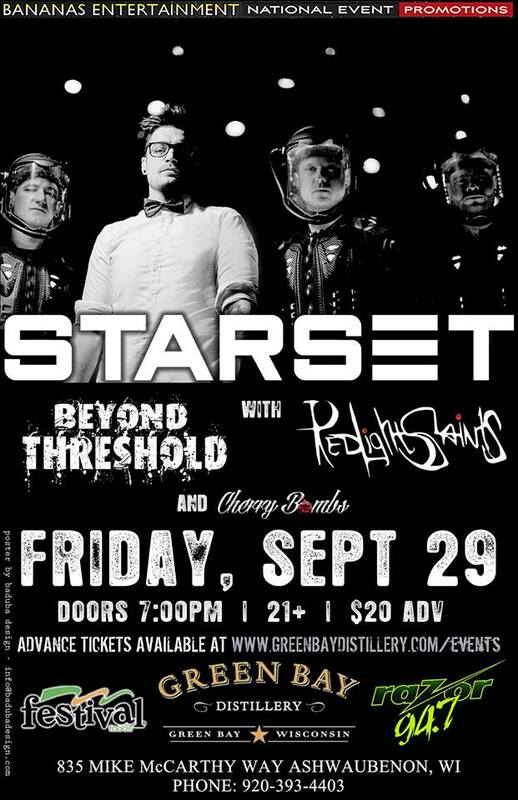 RAZOR 94.7 WZOR welcomes: Starset & Beyond Threshold wsg: Red Light Saints to The Green Bay Distillery!! 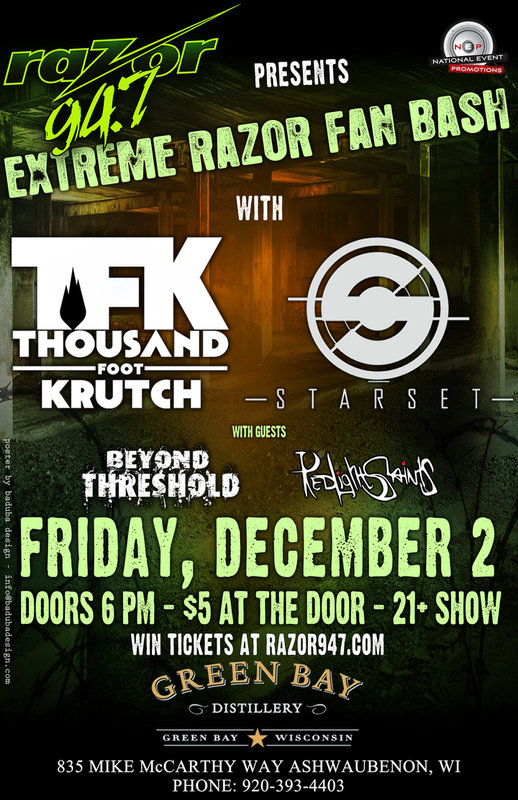 Featuring a very SPECIAL performance from The Cherrybombs!! 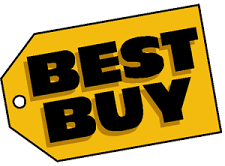 Thursday August 7th!!! 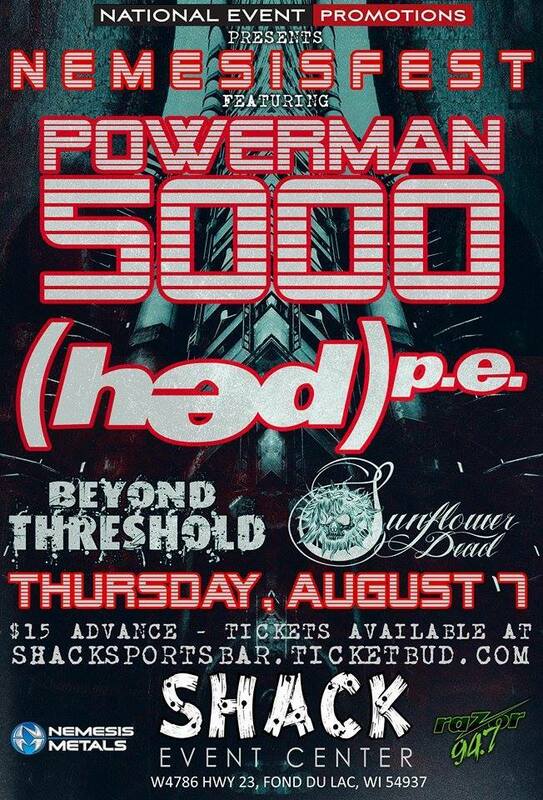 RAZOR 94.7 WZOR presents: Powerman5000, Hed PE, & Beyond Threshold wsg: Sunflower Dead – Evoked at Shack Bar – Fond Du Lac, WI – ALL AGES!! !